Megyn Kelly isn’t the first celebrity to have said something controversial about blackface, but so far it appears she’s the only one being punished for it. Kelly was reportedly fired by NBC on Thursday, due to remarks she made during Tuesday’s on-air, round-table discussion regarding the subject of people dressing in blackface for Halloween. The discussion, which remained civil, featured additional panelists Melissa Rivers, Jenna Bush Hager, and Jacob Soboroff. The remarks in question centered around Halloween costumes, what constitutes racism, and whether or not it’s appropriate for a white person to wear blackface when dressing up as a particular person, or as someone they admire. While the other three panelists appeared to agree that using blackface was offensive and therefore out of bounds, Megyn Kelly had questions. “But what is racist?” Kelly asked her fellow panelists. During the discussion, Kelly also referenced Real Housewives of New York City’s Luann de Lesepps’ Diana Ross costume, for which the housewife eventually also apologized for. 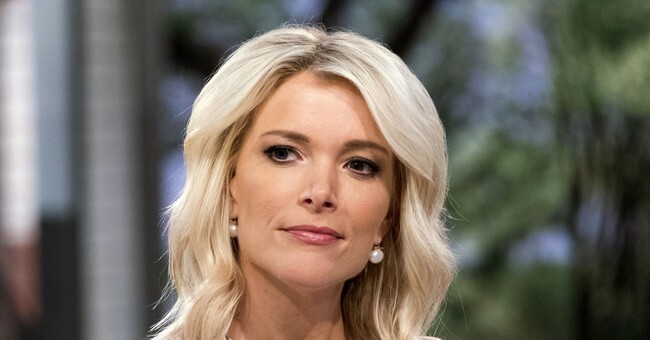 In spite of the public and seemingly heartfelt apology Kelly issued on her show the following day--earning her a standing ovation from her studio audience--NBC made the decision to pull the plug. But while Kelly may have just lost her reportedly $23 million dollar per year NBC job over the remarks, it turns out she isn’t the only on-air personality--on a major network, even--to have stirred up controversy when it comes to the issue of blackface. JImmy Kimmel, in an old Comedy Central sketch that resurfaced several months ago, can be seen impersonating (and some say mocking) African American NBA basketball star Karl Malone, a player for the Utah Jazz. In the sketch, Kimmel himself is wearing blackface. The controversial segment is from Kimmel’s The Man Show, which aired from 1999 to 2004, and features Kimmel dressed as the famous Utah Jazz player, wearing a basketball uniform and blackface. In it, Kimmel is speaking to the camera as Malone. There are also reportedly additional skits featuring Kimmel wearing blackface. The incriminating footage of Kimmel--where he is also appearing to mock African American vernacular--resurfaced this past April, when Sean Hannity took offense to the way Kimmel was speaking about first lady Melania Trump on an episode of ABC’s Jimmy Kimmel Live. Hannity called Kimmel “a despicable disgrace”, taking to social media and his own Fox News show to condemn the actions of the famous liberal. Though a public feud ensued between Kimmel and Hannity, Kimmel refused to address Hannity’s specific concerns over Kimmel’s seemingly racist jabs and use of blackface. ABC, the network responsible for Jimmy Kimmel Live, has remained silent regarding Kimmel’s actions.